It is my sad duty to write a few words in memory of a friend who stood by me, through thick and thin, through joy and tragedy, through ups and downs for the last 25 years. Like many thousands of Indians, I grieve today the loss of my best friend and elder brother (Anna), Pandit Bhimsen Joshi, who has gone to the Abode of Songs, where there is no pain and distress, just endless celestial music. An era has ended, a voice that captivated the hearts of so many has been replaced by a void which will never be filled. 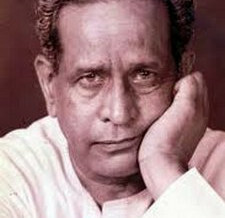 Bhimsen Joshi is dead! May Bhimsen Joshi’s voice and legacy live on! Why am I writing about a classical Indian musician on a Zoroastrian blog? The answer lies at the end of this post. I was first introduced to Indian classical music at a very young age through the shehnai recitals of Ustad Bismillah Khan on Doordarshan TV on Republic Day and Independence Day. These recitals captivated me and I would sit and listen to them with great interest, before going for the school parade, much to the irritation of my family members. Then on one of the death anniversaries of Indira Gandhi, I heard, for the first time, the voice of Mallikarjun Mansur as he sang a Bilawal in a near delirious fashion at her Samadhi. I was transfixed and could not get the song out of my mind. It was after this that I first heard Bhimsen Joshi sing ‘Rain ka Sapna’ (my dream last night) in Raga Lalit. This Raga and the accompanying Bhajan ‘Jo bhaje Hari ko sada’ (he who worships the Lord always) marked the beginning of my love affair with Indian classical music and Bhimsen, which continues to this day. My interest in Indian classical increased day by day and my collection of cassettes and LPs grew from the little money I made as a part-time priest, while pursuing college. My family members had to put up with the seemingly unmelodious and highly irritating music all played at the weirdest hours. Soon I began attending concerts of various artistes, both vocal and instrumental. After my higher secondary, I joined the Income Tax department through an all-India exam and was fortunate to find an inspector in my ward who shared my passion for music and who had studied the same in a rigorous manner. While the mornings were spent on mundane tax work, the afternoons often found both of us listening to a cassette on a walkman, each of us hearing the song through one ear bud in our respective ears. We would then sit and analyze the Raga and the various neat tricks and interesting variations that the artiste would bring to an ancient form. After the terrible riots in Mumbai post the Babri Masjid issue, a concert was held at the Shivaji Park grounds, by a collection of Indian classical musicians of both communities who wanted to show Mumbai that music knows no boundaries of religion or caste. This concert stretched over 24 hours, and each artiste was allocated 30 minutes to present his art. It is here that I came face to face with many senior musicians. As the night progressed, at about 2:20 am it was the turn of the famous Dagar brothers to present the ancient music form of Dhrupad, which draws from the Vedas. As these two Muslim brothers began their performance with a recitation in Sanskrit of a verse from the Vedas praising Saraswati – the goddess of music, there was pin drop silence. Even the irritating child behind me who had kept on whining and crying through the evening (and who I had a good mind to throw away somewhere far off) went suddenly quiet as the Dagar Brothers wove a spell of magic over the audience. The notes and words of their recitation in Raga Chandrakauns still reverberate in my ears. A strange effect passed through me and I was convinced that this was what I wanted to do. After the recitation, I made my way to the tent behind the stage where the Dagars were resting. I touched their feet and requested them to teach me their art. Both brothers looked at me very closely and then said: ‘why not? But you will have to leave everything and stay with us at our ashram in Delhi.’ That was one of the most difficult nights I have faced as I wrestled with the security of house and family and the strange attraction of Dhrupad and the Dagar brothers. I have no hesitation in admitting that I did not have the guts to leave everything and go away with them. Who knows what might have happened…? Such fears and insecurities were never present in Bhimsen. When his father pressurised him to become a man and his mother gave him a dollop of ghee less than he wanted on his rice, Bhimsen ran away from home, following the wandering minstrels and music parties which roamed the length and breadth of India in those days, searching for someone who could satisfy his hunger to learn music. After many years of searching and wrong starts with different artistes, Bhimsen finally found his guru very close to his village Gadag in Karnataka. It was Rambhau Kundgolkar, better known as Sawai Gandharva . the founder of the Kirana Gharana. Bhimsen entered into the sacred guru-shishya relationship with Sawai Gandharva, staying with him in his modest hut, cleaning and doing odd jobs for his guru and learning at the same time. Another famous musician, Gangubai Hangal was also present in the house at the same time and she would walk some distance to draw water from the well and do the cooking, while learning at the feet of the guru. Bhimsen’s career started from age 19 and spanned over 6 decades. His voice and his art changed dramatically over the years, but what did not change was his unwavering commitment to traditional, pure music drawn from various sources but processed in the Kirana Gharana style. In one of his many interviews, Anna (as he was affectionately called) likened a good musician to a thief – listening to others and drawing the best from them and incorporating that into their own singing. As his age increased, his voice grew deeper and his singing became more akin to introspection. Over these years, Bhimsen Joshi and his voice provided me with great solidarity, friendship and companionship. Even though we never met formally (although I heard him at many concerts) he was like an elder brother who I could always fall back on for support and help in my times of need. At many great turning points of my life, when I was lonely, Bhimsen was always there. At times of rejoicing and celebrations too, he was there. As this bond deepened and strengthened, the various recordings of Bhimsen would immediately rise up in my mind depending on my moods and emotions. Unlike other friends, who came, took what they want and left, Bhimsen stood by me, never asking for anything more than my attention as he yearned for communion with God through music. During this time I was also lucky and blessed to have as a mentor Ervad K. N. Dastoor (KND), now Dastur Kaikhushroo Meherjirana (the 17th Meherjirana), with whom I spent many memorable evenings, attending concerts, listening to recordings or just sitting and discussing the intricacies of Indian classical music. On these many trips, we encountered Bhimsen in various moods – sober, drunk, devotional, aggressive, loving, passionate, desolate, full of pathos, near ecstasy. These were some of the best hours of my life, which have remained etched in my consciousness and memory forever. While the beginning of the concert would always be very serious with great emphasis on the classical music and rules of the Raga, as the evening progressed, Bhimsen would relax and come into his element, turning from pure classical to semi-classical, singing the many Thumris which his guru was famous for and then finally end the concert with a devotional item – a Bhajan, an Abhang of Tukaram, a couple of verses of Kabir, or a composition in honour of Vithal. This was the time when Bhimsen lost himself in devotional fervour, bordering on ecstasy. His singing would often move the audience to tears as he rocked and swayed and brought the full force of his powerful voice to bear on the sweetest melodies of ancient saints and masters of the Bhakti cult. As the concert ended, and the audience would file out, every second member would be humming the last item and it stayed on in the mind for days together, driving his listeners crazy with joy. Alas, time spares no one. With increasing age, Bhimsen found it difficult to sit cross legged for hours together in practice on in concert. But his voice remained amazingly strong. I very clearly remember the last time I attended Bhimsen’s concert – at the St. Xavier’s college annual gathering. There, in the open quadrangle, amidst hundreds of listeners, Bhimsen was got to the stage in a wheel chair, and gently helped up. He sat with his legs dangling down and apologized to all for that. But the voice! Same and strong as ever! On his left was his trusted accompanist for many years, the harmonium player Appa Jalgaonkar. Appa Saheb had suffered a stroke which had left his left side paralyzed. Yet he insisted on accompanying Bhimsen. His son sat to his left and used his hands to move the lungs of the harmonium. Using his good right hand, Appa Saheb played the harmonium in perfect synchronicity with Bhimsen’s voice. Despite his advancing age, Panditji went on signing. His last recording was a series of four CDs at the age of 80, called Unsung. It is in these CDs that his voice has the greatest pathos and depth – a lasting legacy for all time. He was no longer singing for his audience. He was singing for himself and for his Lord, totally absorbed and throbbing with emotion. The Raga Ahir Bhairav of that volume is just superb. Panditji got many honours, including India’s highest award – the Bharat Ratna. But for him all that was small change. What mattered most to him was the love and affection of his listeners. In the same manner, there were many imitators of Bhimsen, but he remained untouched and unreachable. Dear readers of Frashogard, there is a deep reason I have chosen to write about Indian classical music and Bhimsen on this blog which deals with our religion. Khshnoom and Ustad Saheb have revealed a great similarity and symbiosis between religion and music. Indian classical music owes its origins in the Vedas and many Hindu gods and goddesses have some musical instrument as part of their attire and appearance. There is a deep significance in this. Ustad Saheb revealed that there exists a divine symphony in the Universe – the Ahunavar or the Will of Ahu. This divine symphony is not audible or visible to the human ears. But the prophets of different religions and their authorised great disciples were fortunate to be able to hear and understand this divine symphony. Based on their hearing of the Word of God, the Prophets and their disciples composed special languages which could be comprehended or pronounced by the human tongue and heard and understood by human ears. Our sacred Avesta is the highest and purest of such languages. Sanskrit is another such language whose proper pronunciation can give rise to special formulations in nature. Music (specially Indian classical music) is also one such offshoot of the divine languages created by Prophets and their disciples. The proper practice and pure performance of Indian classical music not only arouses feelings of devotion and love towards God but is also a powerful catalyst of the emotion of vairagya – dispassion, indifference towards the material attachments of this world. The proper and righteous practice of classical music can bring one very close to salvation. Of course classical music cannot be a substitute for our religion and its sacred Alats like Sudreh-Kusti, but it can be an important tool in our quest for communion with God. In ancient Iran, the practice of music was very prevalent and many instruments like the sarod and sitar owe their origin to Persian instruments. The Shah Nameh has many references to imperial court music and its effects. Unfortunately, much of that is lost today. The wandering minstrels singing songs composed on stories from the Shah Nameh have also become almost extinct. The death of Pandit Bhimsen Joshi is not only a monumental loss to me personally but is also a great loss for India and Indian classical music. Artists like Bhimsen captured the imagination of millions of normal Indians by his rendition of simple melodies like ‘mile sur mera tumhara’ which really energised the population and built national identity and unity. In an age where cheap lyrics, skin show, vulgarity and total absence of tone marks the Bollywood version of music, the likes of Bhimsen were a powerful alternative to those who yearned for real music and melody. May the soul of Pandit Bhimsen Joshi quickly reach its appointed destination and come under the protection of his religious forefathers. His years of devotional singing, relentless riyaaz and pure life have surely secured for Panditji that vision and unity with God which he yearned for! Goodbye, my friend and brother! I will miss you but your profound and magical voice will remain with me till we meet again at the feet of our Lord, in Garothman – the Abode of Songs! my passion for classical Indian music and hope to overcome the hurdles that I could face whilst doing so. Late Pandit Firoz Dastur was also a great disciple of Sawai Ghandharv. Truely appeciate your blog. Thank you for the interesting readings that you always post. I have been an ardent reader of your writings for many years now and do appreciate and respect you for the same. Just as a matter of suggestion and requst – I would also ask you to channel part of your energy, spirit, and the respect that you hold in the community to some serious matters of concern that (in my opinion) all the brethren of the Zarthosti Din must appreciate. 1. “Zarthostis” are referred to as “Zoroastrians”: I do not know, neither at this stage, do I need to trace the evolution of the words ‘Zoraster’ or ‘Zoroastrianism’. Greek or latin pronounciations should not or must no longer be accepted by us at least in India. The followers of Vaakshure Vakshuran Asho Spitamaan Zarthost Paigamber Saheb – must be called and nomenclated as members of the ‘Zarthosti’ community. This process of correction from ‘Zoroastrian’ to “Zarthosti” must be spearheaded by the leaned mobed sahebs. The institutions of the ‘Zarthostis’ must then carry forward such rectification on a Governmental / Legal level. 2. Encourage all to wear Sudreh and Kusti at all times: A sad example is laid before the community by the latest BPP magazine – which openly shows of the youth ‘at least’ without their Sudreh on their selves. The mighty applaud, and the feathers fly. Does none care to say ‘wear your sacred vestaments and be proud to be the Zarthosti – Parsi / Irani that the immature youth claim are and dancing, eating and making merry to proclaim to proclaim their Zarthosti faith at functions organised by the Parsi Panchayat. The yound and not so young must not feel out of the fashion society by wearing the Sudreh and Kusti. Neither should the young and not so young act nor should we be encouraged to act in preudo ‘nouveau riche’ attitude – the community has almost reached its last legs and some pseudo intelligenica / mighty are leading it faster on that path. Decorum, humility, truth, bravery, wearing Sudreh and Kusti (this, I believe, have been some of the best gifts to all Zarthostis from Vakshure Vakshuran Asho Spitaman Zarthost Paigambar Saheb). I plead to you Ervad Saheb and to all Ervad Sahebs to individually politely guide (not scold nor insult nor humiliate as some excellent past Ervad Sahebs have errered into doing – though for their exterme love for their faith) the members of the faith into doing. Constantly remind the members of the powers of the Sudreh and Kusti that they are so fortunate to be endowed with. Let me assure you, that the good words shall spread and also be absorbed. Would you have video recordings of Bhimsenji’s and Appa Jalgaonkarji’s performance at Xaviers – would love to watch it. Regret I do not have the video recording. But there are quite a few available on You Tube. Thanks for reading. Thank you for bringing the mystical and spiritual aspects of our religion to the forefront for all of us, the masses. I have always been interested in the mystical aspects of all religions, as it addresses the core of spirituality in all humans, as opposed to mere dogma. Rituals and prayers are, of course, also important for those who believe fervently, and does work to ignite spirituality in most people; however, there is a real hunger out there, and more people need to be touched to the core . You are therefore performing a very important service in this regard. Spirituality can be experienced through music, or dance, or yoga, or prayer/meditation. Each one of us finds our own path eventually, but to have this validated in our religion by a highly respected figure like yourself, is a great community service indeed. There is so much power in prayer/incantation done by knowledgeable priests, but most of us do not know how to appreciate and respect it. Thank you again for interpreting it for us. Please keep the blog going. I also whole heartedly agreed with the post of the gentleman above, Mr. Porushasp Behram Bulsara, who said that we should take pride in the origins of the name of the religion, and call ourselves “Zarathoshties”, as opposed to the Greek-imposed “Zoroastrian”. As any student of history knows, the Greeks destroyed a great deal of the Zarathushti Persian culture through their war with Persia, and to continue to provide it validity through the Greek/Western term is disrespectful, demeaning and wrong. Even towns in India have reverted back to their names of origin fifty years after the British left. Should not the same be done for that magnificent edifice of spiritual knowledge created and left behind for all mankind by Asho Spitaman Zarthost Paigamber Saheb? I am sure that a majority of Parsis and Iranis feel the same way and it would just take a community vote to correct it, in India, in the Indian courts, and in overseas “Zoroastrian” associations as well. Thank you again for your selfless and brave work in educating all of us. These are the posts which make Farshogard so interesting to come back to often. The language of music is universal and innate in all humans. We may deprecate some forms of music, specially modern forms with off colour lyrics, but music as such is joyous, soul satisfying and life affirming.Some prefer as your good self the nuances of Indian classical, some the songs of Saigal & Malik, Mukesh and Rafi, some the works of the Western masters but all get a sense of peace and joy when they listen to their music. Every human should enjoy some form of music. A man who cannot enjoy or appreciate music has shut out for himself half of the joys of this world. Well put indeed !! Whenever I see videos of modern Iran I feel relieved that my ancestors took the momentous (but a heart wrenching) step to leave Iran and come to India and concern for the Zarthustis still bravely living over there. Truly they are brave people.